Mindhunter is a 60 minute scripted thriller television series, which kicked off on October 13, 2017, on Netflix and is broadcast every Friday at . The show is currently in its 1st season. Netflix has officially confirmed the renewal of Mindhunter for Season 2. The exact release date is yet to be announced so far. Sign up to track it down. 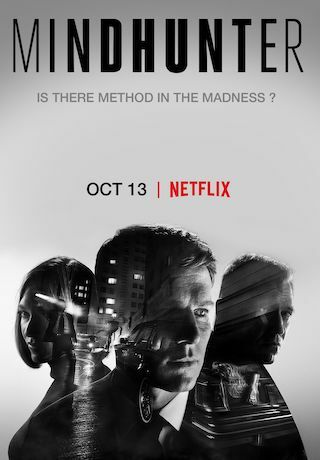 Mindhunter is based on the 1996 book Mind Hunter: Inside the FBI's Elite Serial Crime Unit, by former special agent John Douglas and Mark Olshaker. For years, Douglas pursued some of the most notorious serial killers and rapists, developing profiling techniques to catch them. The book goes behind the scenes of some of his highest-profile cases, including the man who hunted prostitutes in Alaska, the Atlanta child murderer, and Seattle's Green River killer. To hone in his profiling methods Douglas interviewed and studied a skew of serial killers. Several book and TV characters have been based in part on him, including Jack Crawford in Thomas Harris' The Silence of the Lambs, Will Graham on Hannibal and Jason Gideon on Criminal Minds.